One of the questions I am constantly asked by my bridal clients is how can they improve the condition of their hair and how can they make their hair grow quickly. The answer is simple – patience and a good diet! Not exactly exciting stuff but believe me a couple of tweaks to your diet can make all the difference or there are hair extensions/hair pieces to be used. Try and introduce more essential fatty acid foods into your diet such as salmon, tuna, walnuts, flaxseed and avocado. All these help to improve the condition and shine of your hair. Don’t shampoo your hair every day. Instead, try and do this every other day to allow the natural oils in your hair to return and make the hair less dry and brittle. Always try and use a professional shampoo and conditioner products. Make sure to have regular hair trims that are staged at the correct time your hair requires it. You will need to have your last trim/highlighting/dying completed at least 5 days before your big day. Try having a hair mask once or twice a month. 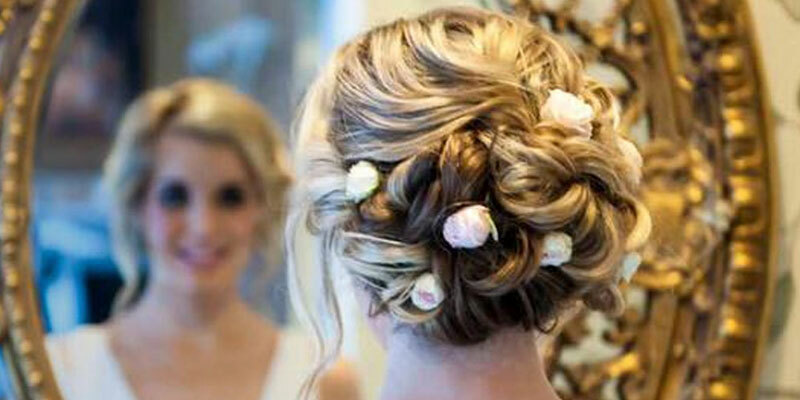 If in doubt about the condition of your hair and what is possible in terms of bridal hairstyles – then feel free to make an appointment with me and I can personally access the hair.